It's that time of the year again- 100+ Screenings, 50 Films, 10 days - The Cinetopia International Film Festival is back in 2016! Cinetopia International Film Festival, created for the people of southeastern Michigan, features the best feature-length dramas, comedies, and documentaries from the world’s best film festivals, including Sundance, Cannes, SXSW, Toronto and Venice. 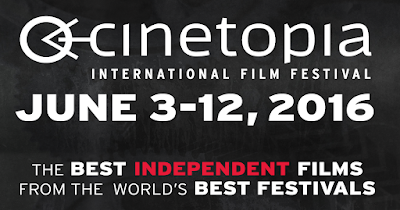 Cinetopia passes are on cinetopiafestival.org and include Festival Passes (offering unlimited film screenings, priority admission, opening night parties and other hospitality events), Movie Passes (unlimited film screenings and priority admission) and a Student Passes for those with valid student identification (unlimited film screenings). Tickets to individual films are $12 for the general public, while members of the Arab American National Museum, Cinema Detroit, DIA, Charles H. Wright Museum, The Henry Ford, and Michigan Theater can purchase tickets at the member price of $9. All tickets can be purchased at cinetopiafestival.org.